The "Midnight Bloom" Set is as beautiful as it is functional. 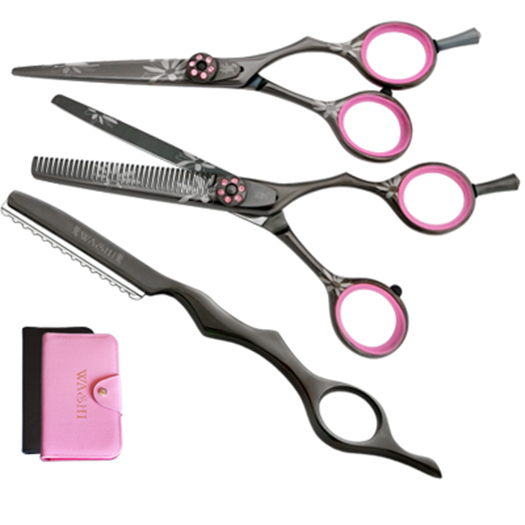 The perfectly balanced cutting shear feels weightless in your hand and provides you with smooth and precise performance. The fine 35-tooth thinner handles detailing and finishing haircuts impeccably. In addition, the WASHI pro-razor rounds out the set giving you the right tool when a little wispy texture is wanted. Safely store your tools in the 5-pc case when your work is done.Save over $100! Order now!